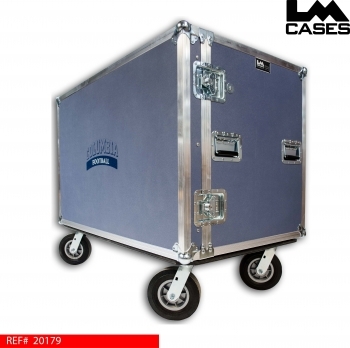 This trunk was designed for Columbia University. 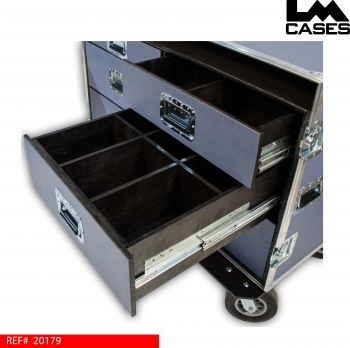 The trunk is designed to live on the sideline during each game to provide quick and easy access to gear. The trunk features 6 drawers mounted on HD Accuride gildes, each drawer is divided into compartments to provide better organization. 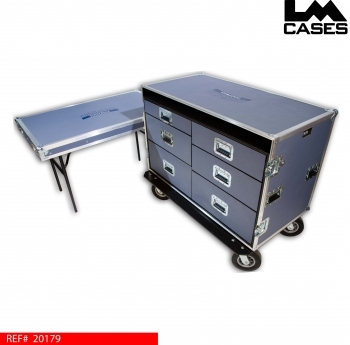 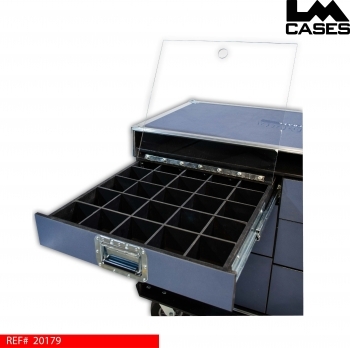 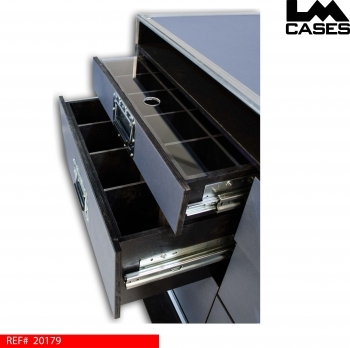 The top left drawer is designed for small items and features 25 compartments with a Lexan lid. 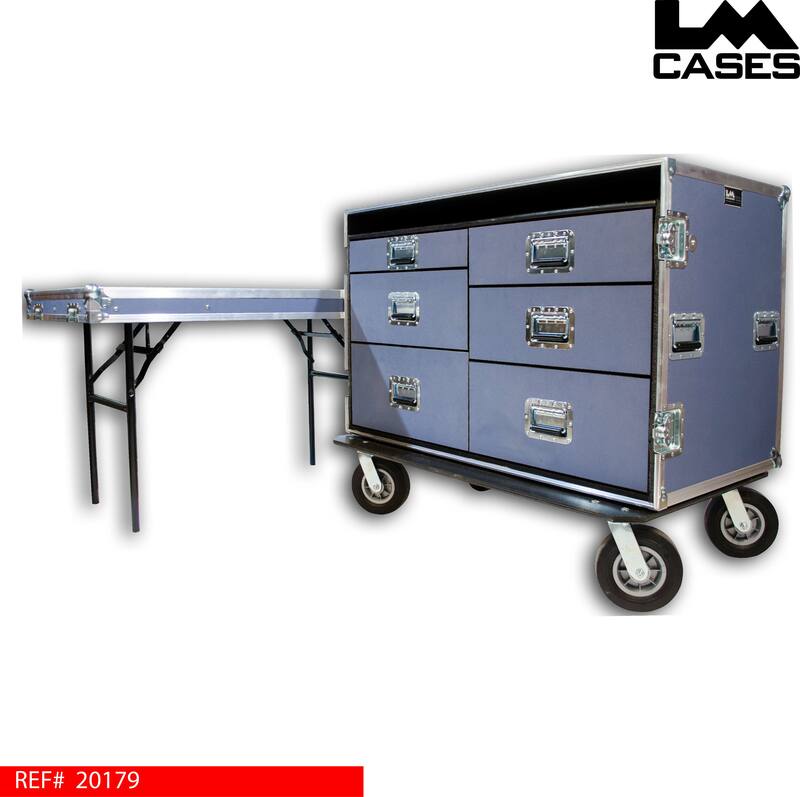 The exterior trunk is built from 3/8" plywood covered with light blue ABS plastic and features 8" field casters, a custom silkscreen of the Columbia University logo and table legs mounted in the lid. Special thanks to Columbia University.